Petunias are lively, flowering annuals that come in a variety of colors. Keeping your petunias blooming is fairly straightforward as long as you know what to do and when to do it. Petunias do require regular maintenance throughout the growing season. Plant petunias in full sun. 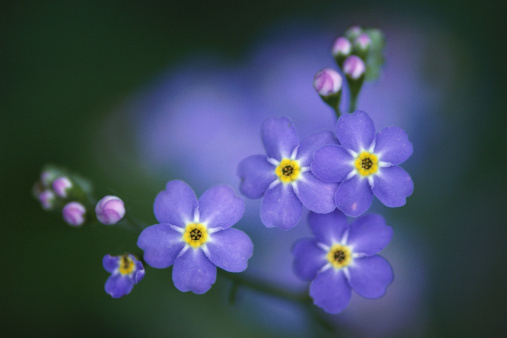 They love the sun and as a result will produce more flowers. 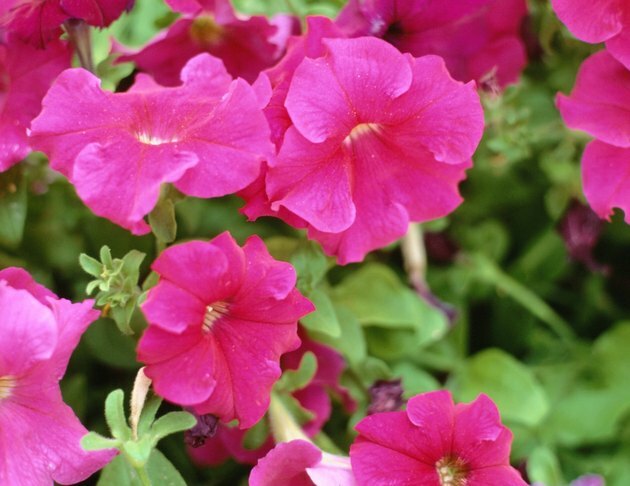 Fertilize petunias once every three weeks. They like fertilizers that are balanced like 8-8-8 or 10-10-10. Before applying a liquid fertilizer make sure the plants are well watered. Never fertilize petunias that aren't properly hydrated. 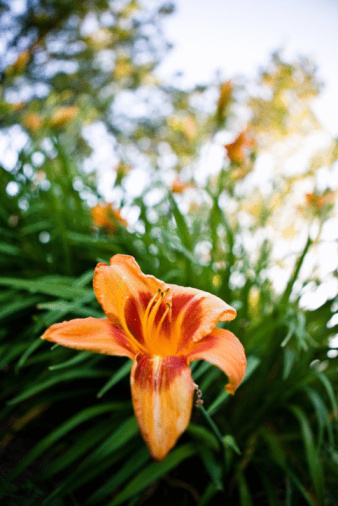 Use time-release fertilizer granules in potted plants. This will ensure they are getting a little extra nourishment every time they're watered. Examine the petunia plants to see if they are end-of-stem bloomers. If they are, you have to cut the stems back. Otherwise the stems will keep growing longer, get leggy and won't produce flowers. If the stem is 8 inches or longer, start clipping. Pick three or four stems each week to cut back. Clip the stems in half. This will cause the remaining stem portion to grow two branches just below the cut. Each branch will becoming a blooming tip. Look at the dying blooms on the petunia plant. If there is a bulge developing at the base of the bloom it means this variety of petunia plant is a seed producer. Dead head (pinch or cut off the dead flower below the bloom). Make sure the seed bulge is cut off with the flower. This stops the plant from sending its energy to the growing of seeds and instead will use its energy to start producing more flowers. Cut back long stemmed petunias that have stopped producing flowers altogether by 2/3 and add fertilizer. Again clip randomly over a seven- to 10-day period. After clipping it'll take the stems three or four weeks to start blooming again.